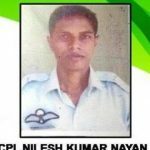 Cpl Nilesh Kumar Nayan was born on 10th February 1986 in Udhadih village in Bhagalpur district of Bihar. He joined the Indian Air Force in 2005 and later was selected to be a part of the elite Garud force. Established in 2003, the Air Commandos of Garud is one of the newest Special Operations Forces (SOF) units within the Indian armed forces. The need for a dedicated force was felt when militants attacked two air bases in Jammu and Kashmir in 2001. The first batch of Garud commandos came into being on February 6, 2004. It was established with the intention of providing a versatile military capability specific to the requirements of the IAF. One of their main responsibilities during peacetime is defending IAF’s airfields. Cpl Nilesh Kumar was undergoing advanced training with the army for anti-insurgency operations since the beginning of 2017. Cpl Nilesh Kumar from 617 Garud Flight of the IAF, was part of the Garud team that was undergoing advanced training with the army for anti-insurgency operations in J & K since the beginning of 2017. The security forces had received credible information from the intelligence sources about the presence of militants in Hajin area in Bandipora district. It was decided to launch a joint operation by 13 RR unit and Garud team to take on the terrorists. The joint team swung into action and launched the combined Cordon and Search Operation in Hajin Village. Cpl Nilesh Kumar was part of the 14-member Garud squad which was accompanying a team of the 13 Rashtriya Rifle. The joint team laid a cordon around the house at 0400 hrs. On being cornered and threatened the terrorists ran out of the house lobbing grenades and firing indiscriminately towards the cordon party. 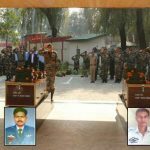 Two terrorists, firing indiscriminately ran towards the Garud commandos, who challenged them and killed two terrorists. During the intense exchange of fire Cpl Nilesh Kumar sustained serious multiple bullet injuries and was evacuated to Base Hospital, Srinagar where he succumbed to his injuries and was martyred. 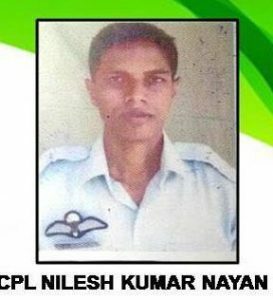 Cpl Nilesh Kumar Nayan is survived by his wife Smt Ninsa Nayan. Corporal Nilesh Kumar Nayan was deployed with Rashtriya Rifles in Counter Insurgency role in Bandipora district of Jammu and Kashmir. Based on specific intelligence input about the presence of a group of terrorists, a cordon was laid at night on 10 Oct 17 for search operations on the outskirts of Hajin village. 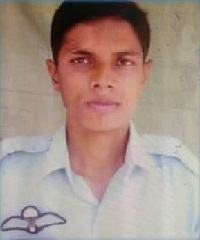 Corporal Nayan was in the inner cordon along with his track leader as stop party towards the rear of the target house. 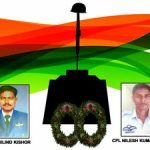 At 0440 hrs on 11 Oct 17, five to six heavily armed terrorists charged out of their hideout, firing with automatic weapons and lobbing grenades directly towards the position of Corporal Nayan. Corporal Nayan was quick to respond and retaliated by heavy and accurate fire thereby containing the terrorists and preventing their escape. During the ensuing gun battle, his track leader was injured by bullet and shrapnel. He provided covering fire to ensure the safety of his comrade. The terrorists now directed massive fire towards his position due to which he was hit by a volley of bullets. 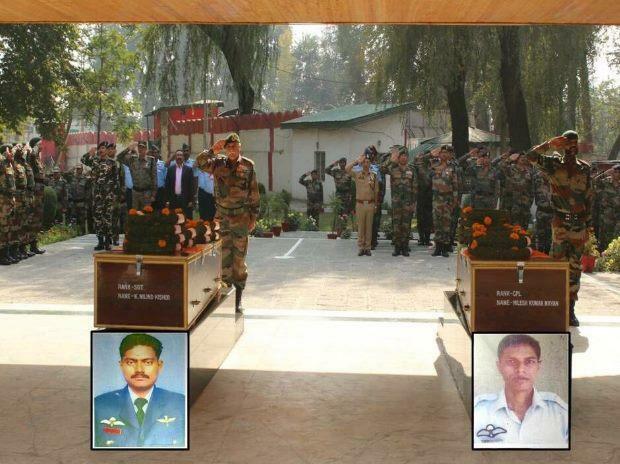 However, Corporal Nayan displayed exemplary courage and in the highest traditions of military, held his ground. In spite of serious injuries, he killed one terrorist. The remaining terrorists now closed-in on to his position and directed all firing towards him. In the consequent battle with the escaping terrorists, Corporal Nayan fired at another terrorist and injured him. However in the melee, he suffered fatal bullet injuries and attained martyrdom. 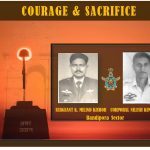 During the mission, Corporal Nilesh Kumar Nayan displayed extreme valour, highest order of camaraderie and with total disregard to personal safety made the supreme sacrifice for the nation. For this display of raw courage, valiant gallantry and making the supreme sacrifice, Corporal Nilesh Kumar Nayan has been awarded Shaurya Chakra (Posthumous). 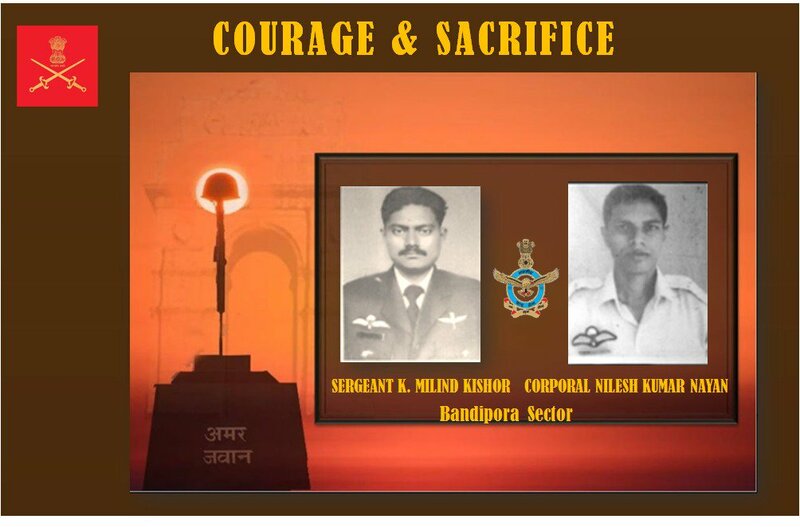 Salute to a real hero of India.. You will be remembered forever..
May your family get the strength to lead rest of their lives ..and may your soul rest in peace..
#Indian Air Force is team of Brave Soldier. They have dedication toward nation to scarifies for our life . Cpl Nilesh Kumar Nayan Is one of them. Shaurya Chakra is very minor in front of them. Such brave soul is always worth worshipping . We are duty bound to respect and honour to such hero . I assure in line with your commitment and valour , that we will not let down those values at any cost .